In 2006 it was a perfect strategic move by Roca, the global leader in bathroom solutions that will celebrate its centenary next year, to acquire market leader and Indian legacy brand Parryware. But in business, landscapes can change dramatically and leadership status can be ephemeral. Parryware, the top-of-the-mind recall brand in its category, is coping with a rather crowded No 1 slot and an industry replete with indigenous and global newcomers. 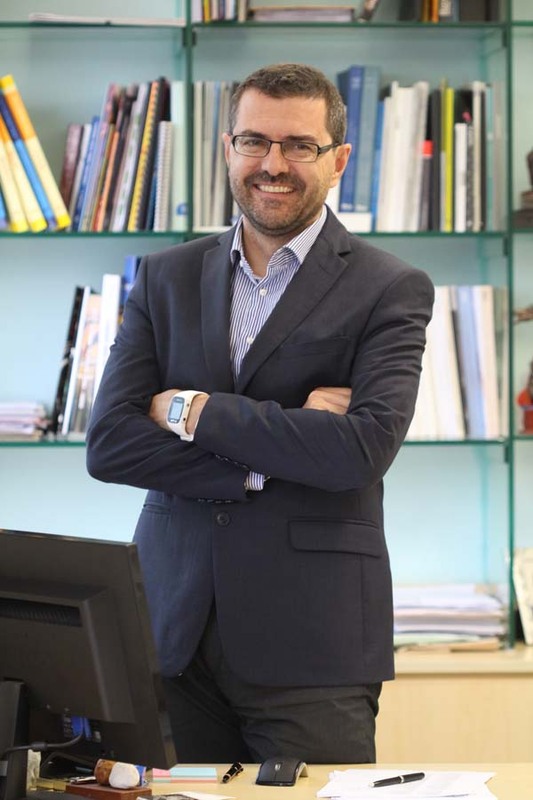 The company’s inorganic route to growth in India continues and doors are never closed to such opportunities, declares Pau Abello, managing director of Roca Bathroom Products Private Ltd, in an exclusive interaction with Sourcing Hardware. As Abello seeks to increase market base, he’s in search of partners who can appreciate the strong business plan of Roca Bathroom Products , which he says are an outcome of his understanding of local trends and preferences. “My passion is inventing new, profitable and powerful ways of listening creatively to the consumers, and then turning the insights into interesting initiatives,” he declares on his LinkedIn profile. While it may no longer be possible for any single company to enjoy a pole position in the Indian marketplace, what Abello says reveals a game plan that has positioned the company as a crouching tiger, ready to regain the momentum. Q. It’s been a decade since Roca and Parryware came together; how has been the synergy between the brands and what has been your major learning? It was in 2006 that Roca Group entered into a JV with the Chennai-based Murugappa Group, and by 2008 Parryware, which is India’s leading sanitaryware brand, became a 100% subsidiary of Roca Group. The expertise and revolutionary R&D technology of Roca coupled with the customers’ trust in Parryware has proved to be a potent force. This unique combination has helped both our brands grow and challenge their respective competitors like never before. In India, Parryware continues to be our leading brand. However, to put the record straight, Parryware and Roca are not the only brands that we have; we have introduced Laufen, Armani-Roca, Johnson Suisse, and Johnson Pedder. This is our main differentiator; our strategy is to have different brands for different segments – from super luxury to the bottom of the pyramid (mass segment). In particular as we talk about Roca and Parryware, the two brands have nothing in common – they are altogether different brands. They have different portfolios, catalogues, websites, distribution channels, sales teams, brand identity, commercial salesforce, etc. It’s a challenge to have two very important brands. We have split the budget in terms of advertising and promotion; last year our communication focus was on Parryware this year it’ll be for Roca. We have been stressing on this differentiated approach for the last several years, ie establishing unique spaces for the two brands. In India we are driven by Parryware, and it constitutes around 80% of our sales. India is a more of a continent. We need to put in a lot of money and effort to differentiate and promote our brands everywhere. The challenge is to synchronise the short and mid-term objectives in a market that’s so dynamic. As far as Roca Group is concerned, we are invested and committed for the long term. Over the years, what we’ve been doing is building our brand step by step. We now have seven manufacturing units and are investing crores of rupees every year and will continue doing so. Q. Being owners of a legacy brand, how do you live up to the expectations of consumers? What are the challenges in sustaining brand image, and how do you address them? Such is the potential of the Indian market that despite there being a number of brands, many more will continue to come. At the end, we as brand leaders need to sustain ourselves with a long term strategy, ie (you need to) have a solid strategy for today, tomorrow, next quarter, and next year, if not for many years. In our decade-long presence in India we have rolled out the group’s best practices, novelty products, technology, etc. However, there are two specific areas which we are focusing on to fulfill the expectations of our customers – after sales services and quality of products. While we have done a lot of work in the last three years, these two will continue to be our focus. Q. In that case how are you building up these two major brands? Building a brand depends on your approach, ie whether you adopt a push strategy or a pull strategy. We have a clear brand strategy that we want to be known as a ‘complete bathroom company’ – ceramics, faucets, furniture, bathtubs, accessories, etc. In the last two years we have changed our brand logo (Parryware), website, catalogue, and portfolio; now we have 1,000 dealers and 10,000 sub-dealers, and to add to it we are soon going to have a new app. But all this was not achieved in a year, it’s been a gradual development. We also have a clear strategy with respect to what we need to do in terms of introducing products in the market. The same is with Roca; five to six years back we hardly had 10-15 dealers, and now we are selling 2.5 lakh pieces of ceramic per year. We are now producing Roca ceramics, faucets, and seat covers; but all this is not enough. Talking about brand campaigns, you need tremendous amounts of money to do a campaign in India. We are going step by step, one communication campaign per year, that’s been our strategy. We need to do certain things every year, not all things. Q. In terms of segmentation, it is the mass market that’s the largest segment to be catered. How is Roca Group coming up with solutions for the masses? The Indian market isn’t purely price driven. The market wants value for money and that’s normal; you can’t sell products at the wrong price. We are able to balance the price and value proposition perfectly; and we offer value for money across all our brands. Our mass brand in India is Parryware – an Indian brand, made in India and a heritage brand backed by the Group’s best practices – quality, after sales, IT, and production. We are not going to dilute our brand perception or DNA; we have different brands for different segments with different positioning. Roca is positioned above Parryware and plays a different role, it isn’t a mass brand. Q. There’s a lot of focus on design & innovation at Roca. To what extent have you been able to translate D&I into the Indian business? [Smiles] Design and innovation in the Indian context is devalued. Newspapers are replete with ads proclaiming each product to be luxury: everybody “sells” luxury. This is not correct in my opinion. We work with our design and innovation centre in Barcelona to roll out the international design ranges. For instance, Roca’s Inspira range, which has been developed in Spain, was rolled out simultaneously across the markets. The same was for smart toilets and new faucets. However, it’s not that we are introducing the entire Roca portfolio in India; the products are launched depending on market need and acceptability. You see, we are very pragmatic; we try to have a balanced portfolio. In terms of D&I we have very few pieces specific to this market from the Roca brand. Q. How important, in the Indian context, is inorganic growth? Inorganic opportunities are always there; we acquired two plastic factories in 2014. We are a part of the market and are always open to opportunities that fit our portfolio, needs, strategy and brand synergy. The logic behind inorganic is that when you want to grow fast you need to acquire; organic growth is more time taking. As international brands are marking their presence in India, there will be more activity in terms of M&A in this sector. We are not actively pursuing inorganic growth; but if opportunity knocks our door, why not? India is one of the most dynamic markets in the world. A lot of things are still to be done and the potential and aspirations of the people are great. As a consequence, a number of international brands will come here. But the market is so large that a portion is available for all. Of course, they need to take care of partners and distribution. Globally too M&As are happening and it’s a fact that global majors will foray into the Indian market – greenfield, brownfield, JVs – the options are varied. Inorganically, we will see more investment in India. The market conditions are favourable too – GST, the real estate laws, growth, etc. Q. You’ve had a 18-year association with Roca; what strategic thinking did you put in place to acquire the leadership position that Roca commands now? How did you convince the global board to believe in your business ideas for India? See, we are long term players; we are sowing seeds for the future. In terms of investment, we are investing on an average Rs 40 crore per year and are willing to continue investing. We just acquired two factories two years back; in fact we presently have extra capacity at all our units. We have done our homework and are ready, we can deliver the required number of products once an order is placed. For the last few years we have been investing in all aspects of capacity building – logistics, back office, customer services, sales team, labs, etc. 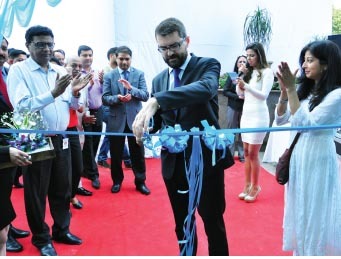 Every year the CEO visits India, since it’s already a strategic market for us. So it’s not about convincing the senior team, they themselves see great potential in the market. I am trying to roll out our global strategy and Roca’s philosophy in India – the gradual and long term approach. We are a discreet company, we do not want to be in newspapers everyday. Q. With domestic as well as global players sensing greater opportunities in the Indian bath solutions market, how geared up is Roca to take on the competition? The competition is really strong in different segments of the product pyramid; and the market is driven by price (while we do speak of D&I). For Parryware there are two-three competitors – Hindware, Cera and Jaquar; besides other brands such as Somany, Kajaria, etc which are coming up and many more will come. While the cake is undoubtedly large, historical brands like Parryware have a pressure to maintain and increase their market share. However Parryware, a 64-year-old brand, has been successful in maintaining its share and increasing it too. As for Roca, it’s a different ballgame. With international brands coming in, one needs to focus on volumes and supply chain mechanisms to maintain marketshare. While Duravit, Kohler, Toto, VitrA, American Standard, etc are present in the market, our strength is that we have several manufacturing units and solid deployed infrastructure. We have yet another advantage; we have been here for a decade now. For global brands there has been no significant change in market share; and as I see it, while more players will continue to come it’ll be difficult for any of them to be a dominant player. At present Parryware accounts for 30% of the market; in the near future we will be able to slightly increase our share. To this end we are doing things properly – we are serious partners, a serious company, we stand by our customers in good and bad times, we never say ‘no’. Q. What strategies have you put in place in order to keep Roca a notch above the others? The key point is capillarity, and our ability to deliver on time. Our main focus at the moment is ‘streamlining’,and having a more efficient supply chain. We are working on reducing lead time, maintaining adequate stock, etc. The strategy is to have stock in proper places, to deliver on time, and have more exclusive dealers who believe in our brand proposition. However, this is easier said than done, as multi-branding is more popular in India. Yet we can take advantage of our group’s strength, which allows us to deploy and deliver pieces quickly. With globally acclaimed products at our disposal, all we need to do is roll out in India in a price band that is well within the reach of the target customer. We don’t need to invest in manufacturing; we just need to roll out. We are equally careful in choosing the products depending on usability and availability for Indian consumers – we have a wonderful pyramid of products, globally, and depending on need and affordability we will launch them in India. Q. The government has taken a number of initiatives – Swachh Bharat, Smart Cities, etc – while new regulations such as RERA and REIT have been put in place. Has all this helped in creating a new market for the sanitary ware and bath fittings segment? The initiatives taken by the central government speak volumes about the confidence of end-users and international investors. Though these initiatives are difficult to put in practice in reality, they are indeed changing the perception of the country internationally. And clearly, there are opportunities for the bathroom products sector. Smart City is in early stages, we will see how it evolves. In Swachh Bharat, there is real movement as concrete requirements are being worked out. As for RERA and REIT, progress has been made for the benefit of the end-consumer; it is surely a confidence-boosting measure for all the stakeholders. It is very difficult to link growth, in terms of sales of bathroom products, to government’s initiatives. However, the last quarter has in fact seen some revamp in the real estate sector. But, how strong the linkage is will have to be worked out. The interest rates, inflation target, tax collection buoyancy, etc, all this are adding up to the confidence. Q. What is the ballpark estimate of the market size and how are the leading players placed? [Laughs] Nobody knows the market size in India. In vitreous china the size is around 45 million pieces a year, with organised players contributing to 45%; in faucets it’s all the more difficult, but we believe the organised sector accounts for 60%. Q. Since Roca banks on innovation, what innovative products have been rolled out and what are the plans for the near future? The industry’s trends are disclosed at ISH Germany every two years, and subsequently designs are rolled out. We have developed a new material – fine ceramic, less than 1cm – for very slim basins which we have also launched in India. We have three shapes – round, square and soft –available in basins as well as water closets. Much more will be disclosed at ISH next year. Talking about faucets – the faucets range is much more dynamic – the trend is towards different PVD finishes and electronic faucets. In bathtubs and furniture the trends have more to do with different colours, materials (waterproof, moisture resistant, etc). Rimless toilets are yet another addition. The big trend in D&I is the smart toilet (with remote control, temperature settings, pressure, etc), and has been launched recently in India. In terms of innovation there is In-Tank Meridian which has in just one piece both the toilet and the cistern (you do not need any concealed cistern to operate it) and the second is the W+W, a sustainable proposal, that reuses water from wash basin to fill the toilet’s cistern. Q. How have you incorporated design & innovation in your retail strategy – store design, experiential marketing, brand promotion, etc? We have been working hard in terms of what can be done at retail points so as to make our brand more visible. We are analysing what can be done using tablets and analytics based on predefined designs, bathroom planners, etc. We are trying to see how we can use electronics & technology to help end-users take decisions. All our initiatives will be analysed at the end of the year. In terms of point of sale – design, how to put pieces together – we have released a book that answers these questions. Depending on the nature of the store there are different approaches to be followed. Not everything needs to be displayed. We support those stores that support us. In India small-sized stores are more dominant. We give our dealers proper branding, consistent look and feel, and additional selling material. At the Parryware Design Studio (Gurgaon), we are showcasing products exactly the way we want them to be seen, without any distractions. For instance, a bathroom is shown in full ambience or as a complete proposition. We don’t sell from there, it’s just a prescription place; it also gives a guideline of our brand. As for the number of such studios, it’s difficult to have such stores in every single city, it’s not our strategy. With technology, e-catalogues, apps, etc such stores are not required in all cities. It’s better to have a few of these stores and bring people there rather than have one in all cities; moreover it’s difficult to manage. But yes, we may open some more with Roca. Q. What about brand communication; what’s innovative about your communication? We follow a 360 degree communication. We focus on products – we don’t have an ambassador. I don’t think it is necessary for us. We always promote our brand – for instance the current campaign focuses on Inspira – in TVC, print, et al. As for Parryware, the communication is to focus on the brand’s heritage (from grandparents, to us, to future). We also explain a few novelties in the print advertisements. The Roca Group does not believe in celebrity endorsements; in our case the product is the star. The product needs to explain itself. The trend of celebrity endorsement is familiar in India, but not globally. Q. What are you doing to bring about behavioural change towards hygiene and sanitation? As for sanitation and behavioural change towards hygiene – it’s a question of mindset; it’s not only about building toilets. That makes it a difficult proposition. We are a bathroom fittings company and our CSR approach is two-pronged – the first one is direct, wherein we give money with a pragmatic approach that is linked with bathroom construction; we want the money to reach the direct beneficiary. The other is through ‘We Are Water’, a global NGO which is putting resources and money in India to construct wells and irrigation systems. We are utilising our resources by providing bathroom products, aiding in construction of bathrooms for schools, institutes, villages, and are supporting NGOs to popularize the cause of sanitation and hygiene. However, we are fully convinced that mindset and behavioural change is must.